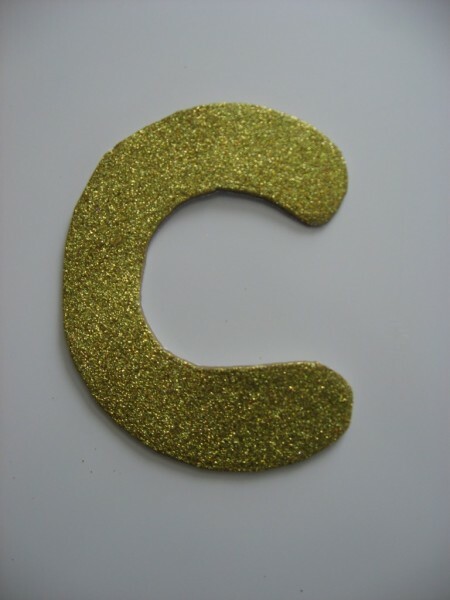 Letter Of The Week c ! 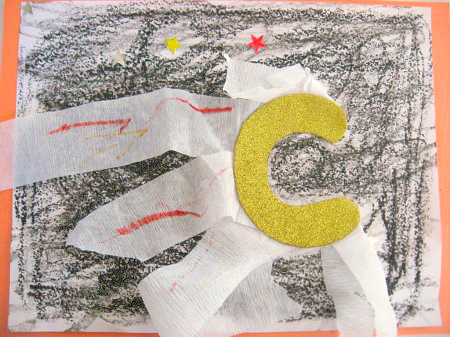 Space the final frontier perhaps but also a subject loved by preschoolers everywhere! 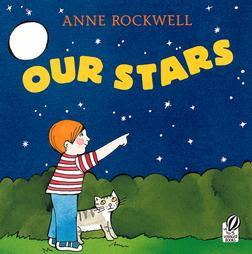 I admit I am not sure if it was a book or somewhere else ( which means TV) that my son was introduced to comets but I wanted to jump on the introduction and teach him a little more. I think that is key with early learning, if they show an interest in something run with it, you don’t have to teach them a full unit of study, just don’t ignore the interest and their curiosity will inspire you! 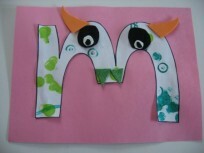 So with that we decided to use that interest for our letter of the week c activity. Gather your materials. You will need some black paper but in a pinch you can do what we did and color a white paper with black crayons ( but I had to go over it a few time to make it dark enough for photos – with my son’s permission , it was his art), some sticky back sparkly foam, white tissue paper streamers, markers, scissors and star stickers. 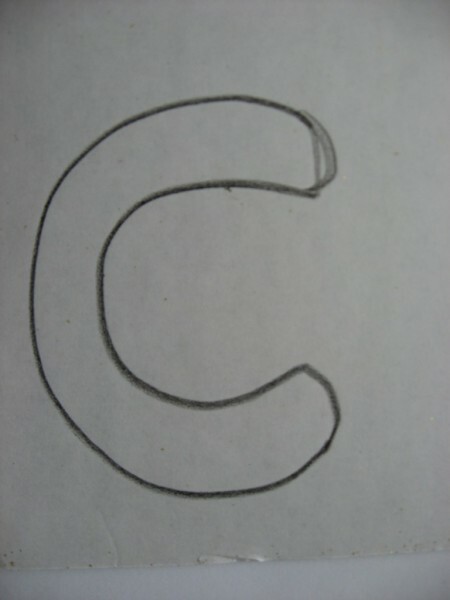 Start by writing a lowercase c on the backing of your foam. When I teach lowercase letters that look exactly like their uppercase version , I usually make them smaller and mention it while we are doing the craft casually. 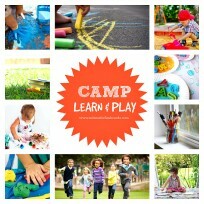 Cut the c out and set aside. 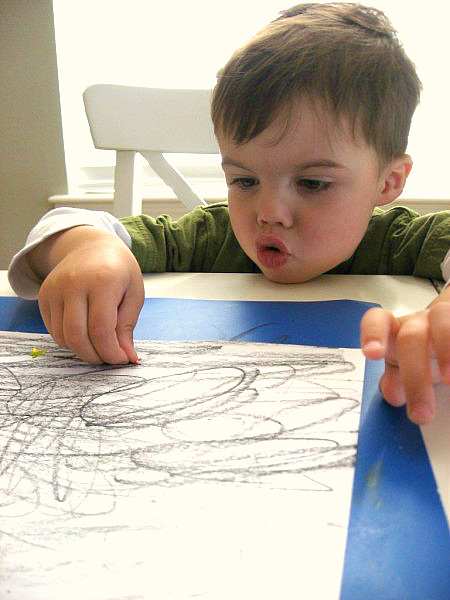 If you need to color a white piece of paper use your black crayon and cover as much as you can. Add your star stickers. 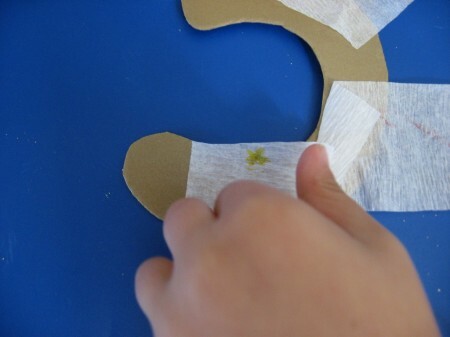 Having your child peel the stickers off is great fine motor, it can be frustrating for little ones so be there to lend a hand but let them do as much as they can. Next cut the party streamers. 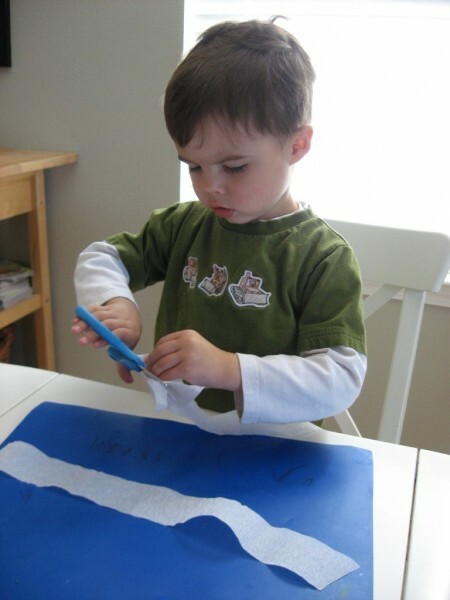 This picture of my son cutting wasn’t what we ended up doing ( he’s just warming up his scissor skills here) but I’m not an octopus and couldn’t take a picture of what we did do! What we did was I held the end of the streamers still and my son using his scissors cut the middle of what I was holding. Then we repeated this a few times. 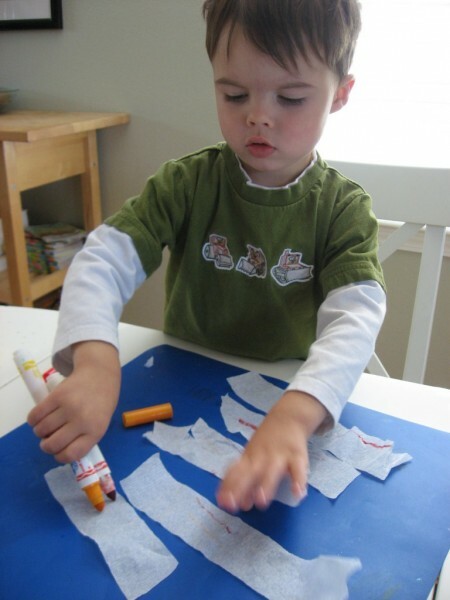 You can pre cut these if your child isn’t ready to use scissors. Color the streamers with the markers. Yes he has 3 markers all bunched in his hand, there was no talking him out of this. 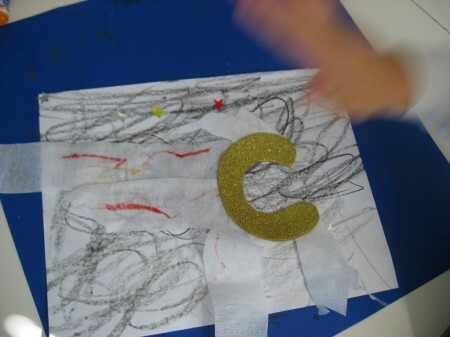 Stick the streamers on to the sticky back to create the comet’s tail. 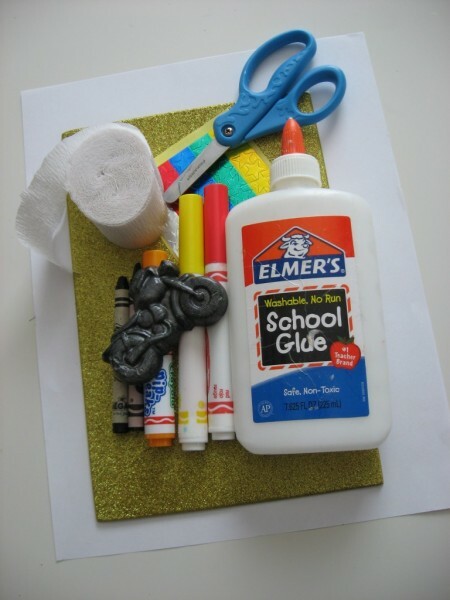 Make sure some of the sticky back is free for sticking onto the black paper. 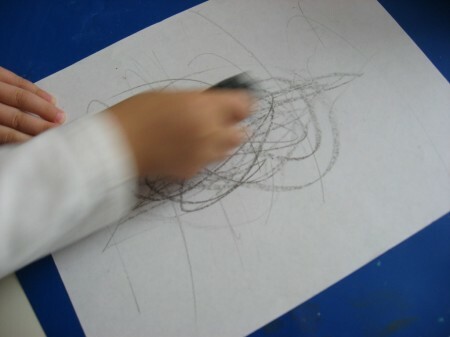 Stick it on and slam it down, my son loved smacking it onto the paper. 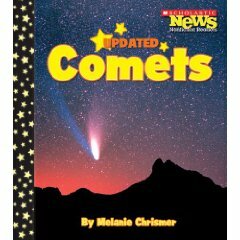 “Comets” by Melanie Chrismer surprised me. This little book was not only full of facts about comets but it also kept my son’s attention from cover to cover. The facts are simple, and presented in small bits with illustrations . The straightforward approach was perfect to support an introductory activity about comets. 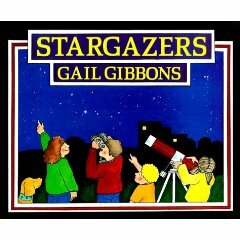 “Stargazers” by Gail Gibbons is a good choice of book to teach about stars, constellations, telescopes and more. My son sat listening to this book and every now and then was engaged but it was a bit lengthy and a little too in depth for him ( he’s almost 3) however the book is great , it explains complicated scientific information in a really accessible way. I even learned a few new things about telescopes! I will be taking this book out of the library again for sure when my son is a little older. Previous Post: Help Us Help Teachers!